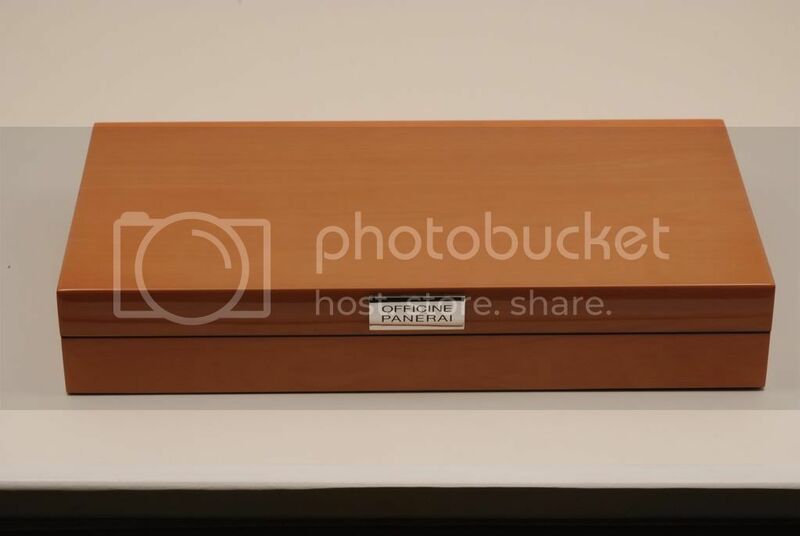 Recently dug up the following photographs. First, a little history. 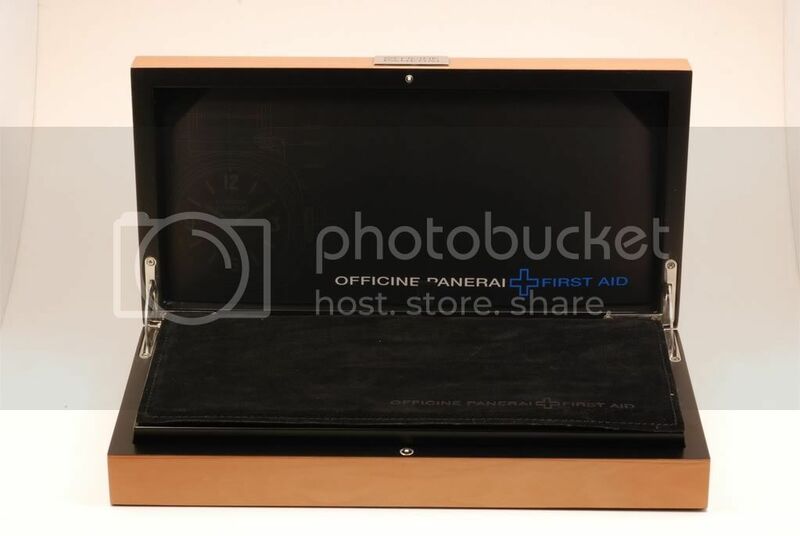 Every Authorised Panerai Dealer has a large black suede covered box containing the tubes (for the leather straps), screw pins and other assorted small screws for the watches he sells. 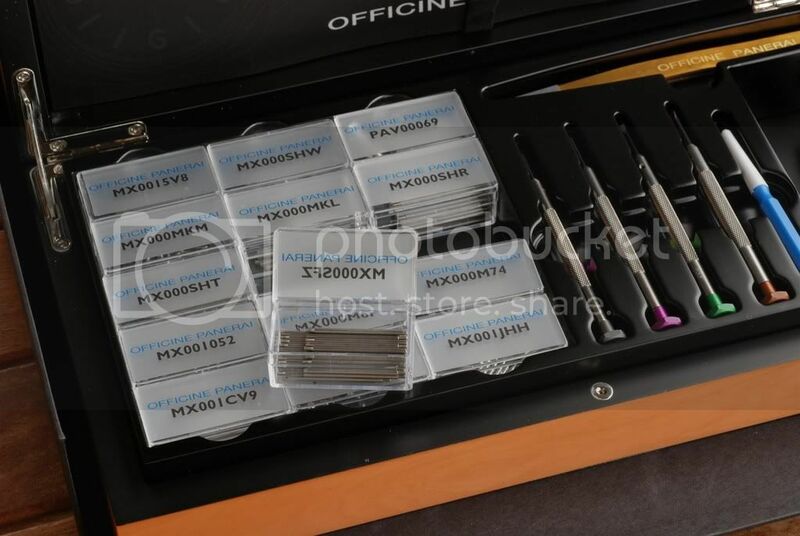 In this way, when you buy a new OEM strap he simply choses the tubes of the correct diameter and length from the contents of the box, and fits the strap. 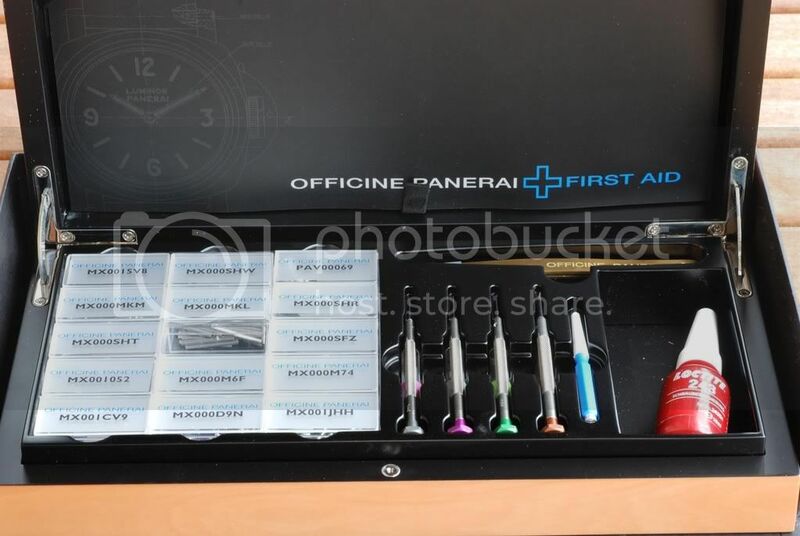 A few years ago Panerai decided to market a similar box for the public, calling it the First Aid Kit. 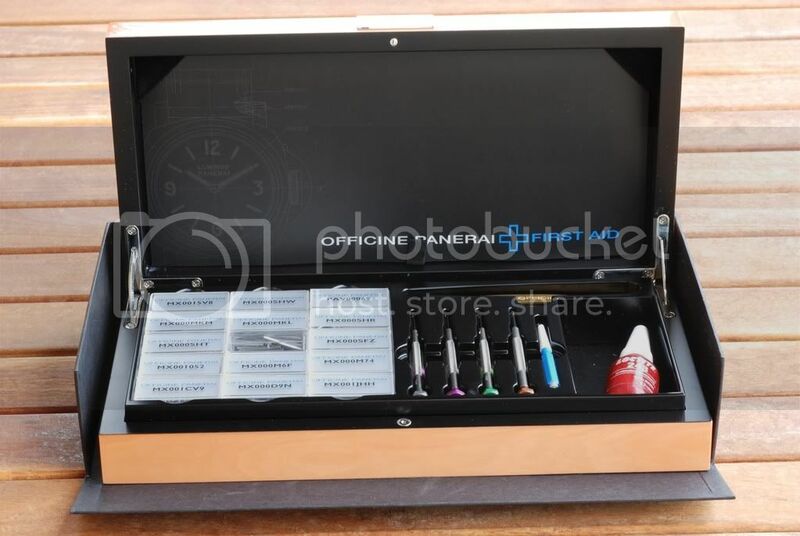 The box is the same material as a watch box, polished Pear wood, with a black interior, and comes complete with Loc-Tite, a set of screwdrivers, replacement screwdriver tips, a pair of tweezers and 14 numbered boxes containing screws and tubes. There is also a folded card in the lid detailing how to change straps, put Loc-Tite on screw heads etc. I saw a guy selling one of these not that long ago.. I think he was asking in the neighbourhood of $1500. Sporty this is very intresting and extremely elegant ! Very nice, I want one!!! Yep, but it's not that expensive!